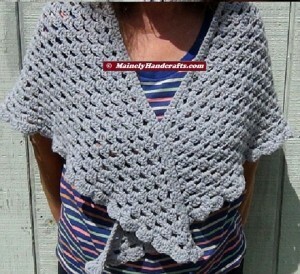 Imagine yourself wearing this wrap with dress clothes or with just jeans and a shirt/sweater. It is is now available at our Etsy Shop. 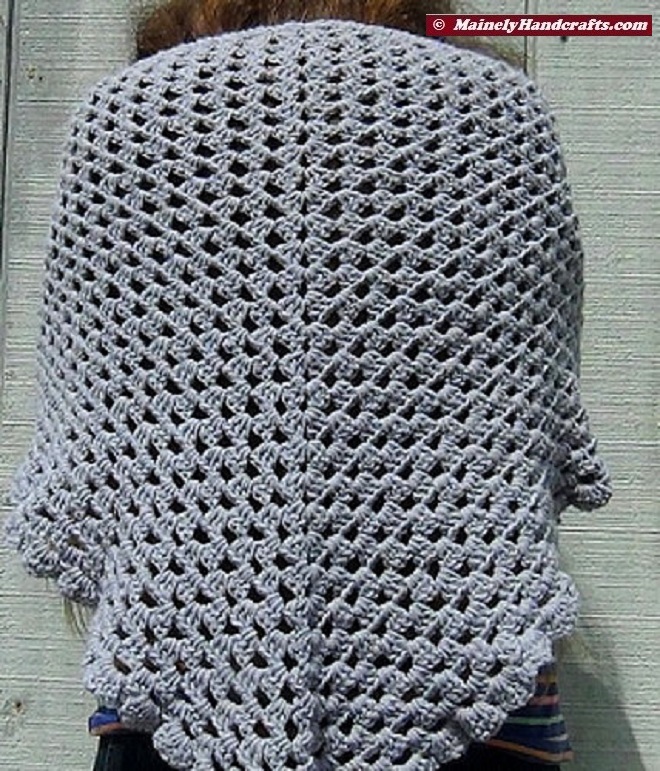 This beautiful women’s crochet granny shawl, in subtle gray, is both versatile and elegant. 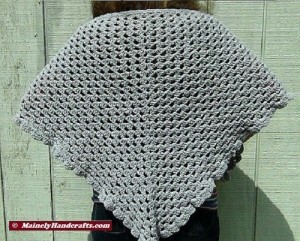 It is a shawl that provides warmth, just enough to keep the chill from your bones. Truly, this is a great crocheted wrap for all seasons. Would like yours in a different color(s)? We can do that for you! Made out of 100% acrylic 4 ply yarn. 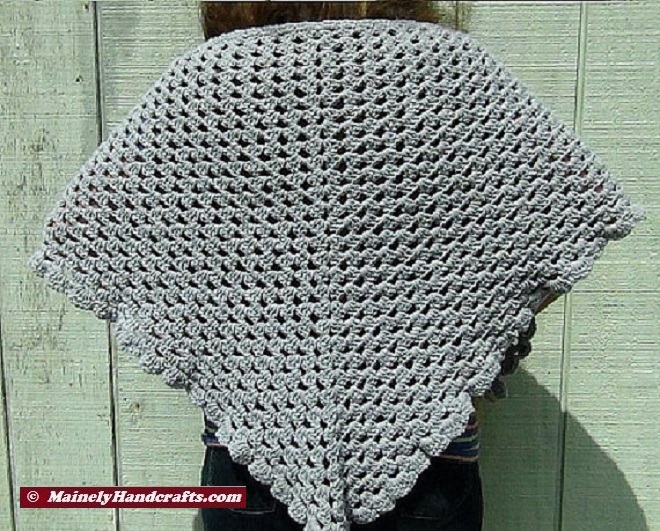 This triangle shawl is 60″ wide across the top and 32″ long from top to point. 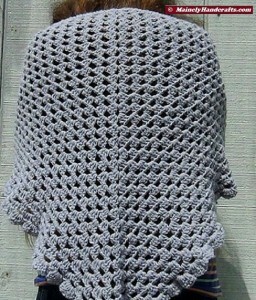 Machine wash with like colors, tumble dry on low or lay flat to dry. 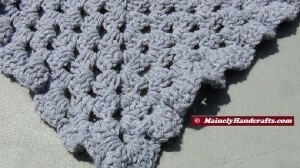 Check out our other wraps, scarves, etc. 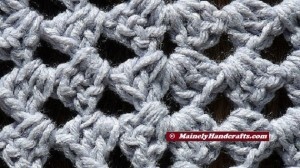 at Mainely Handcrafts ™. Fourteen months after being listed, this item was SOLD at Etsy.com, today, October 3, 2015.